ROBERT D. KAPLAN, "ASIA'S CAULDRON"
In this excerpt from “Asia’s Cauldron: The South China Sea And The End Of A Stable Pacific,” author Robert D. Kaplan, chief geopolitical analyst for Stratfor and former member of the Pentagon’s Defence Policy Board, explains how the region’s unique geography fosters aggression. The oil transported through the Malacca Strait from the Indian Ocean, en route to East Asia through the South China Sea, is triple the amount that passes through the Suez Canal and fifteen times the amount that transits the Panama Canal. Asia Maritime Transparency InitiativeEighty per cent of Japanese and 39 per cent of Chinese oil imports pass through the Indian Ocean en route from the Middle East. 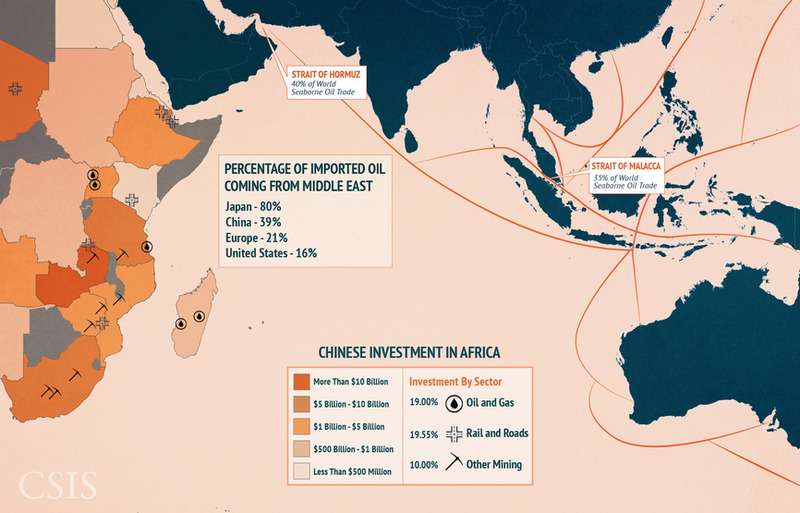 Chinese firms also have billions of dollars of investments in East Africa, concentrated primarily in the oil and gas, railways and roads, and other mining sectors. Roughly two thirds of South Korea’s energy supplies, nearly 60 per cent of Japan’s and Taiwan’s energy supplies, and 80 per cent of China’s crude oil imports come through the South China Sea.Whereas in the Persian Gulf only energy is transported, in the South China Sea you have energy, finished goods, and unfinished goods. In addition to centrality of location, the South China Sea has proven oil reserves of seven billion barrels, and an estimated 900 trillion cubic feet of natural gas. Asia Maritime Transparency InitiativeFive different countries control some land features in the Spratly Islands, while just one state controls the Kuril Islands, Liancourt Rocks, Senkaku Islands, and Paracel Islands. 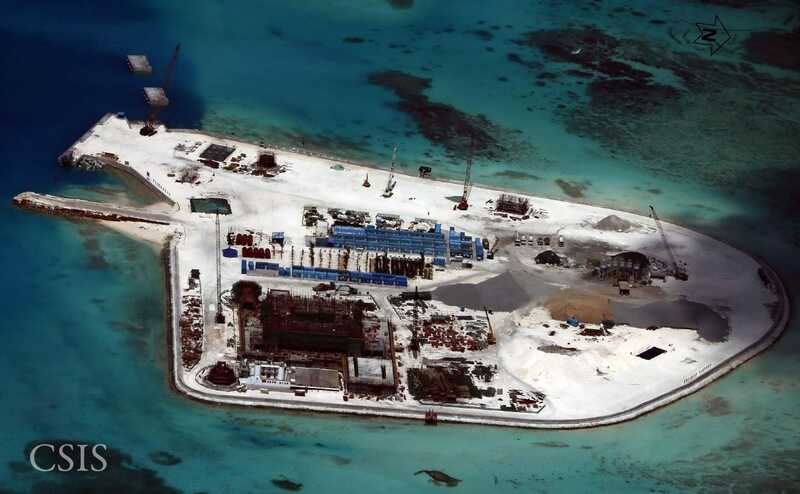 If there really is so much oil in the South China Sea, then China will have partially alleviated its “Ma- lacca dilemma” — its reliance on the narrow and vulnerable Strait of Malacca for so much of its energy needs coming from the Middle East. And the China National Offshore Oil Corporation has invested $US20 billion in the belief that such amounts of oil really do exist in the South China Sea. China is desperate for new energy. Chinese oil reserves account for only 1.1 per cent of the world total, while it consumes over 10 per cent of world oil production and over 20 per cent of all the energy consumed on the planet. It is not only location and energy reserves that promise to give the South China Sea critical geostrategic importance, it is the territorial disputes surrounding these waters, home to more than two hundred small islands, rocks, and coral reefs, only about three dozen of which are permanently above water. Asia Maritime Transparency InitiativeThe South China Sea is the site of several ongoing ‘Exclusive Economic Zone’ disputes between neighbours. Yet these specks of land, buffeted by typhoons, are valuable mainly because of the oil and natural gas that might lie nearby in the intricate, folded layers of rock beneath the sea. Brunei claims a southern reef of the Spratly Islands. Malaysia claims three islands in the Spratlys. The Philippines claims eight islands in the Spratlys and significant portions of the South China Sea. 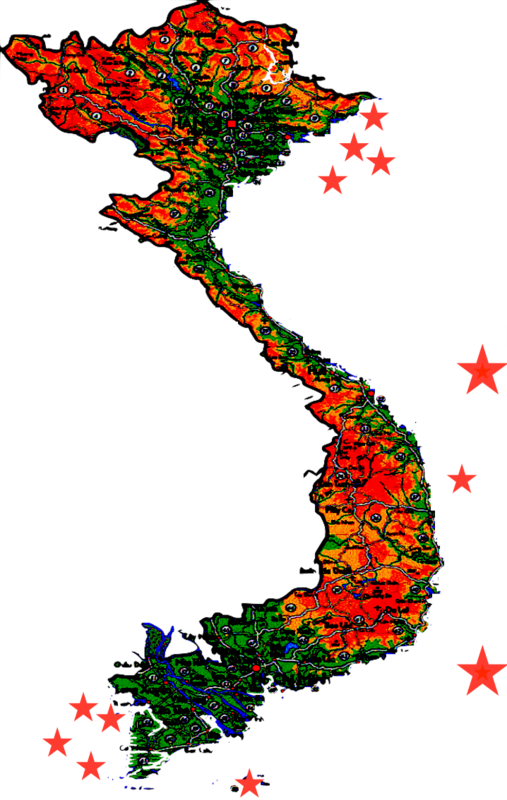 Vietnam, Taiwan, and China each claims much of the South China Sea, as well as all of the Spratly and Paracel island groups. 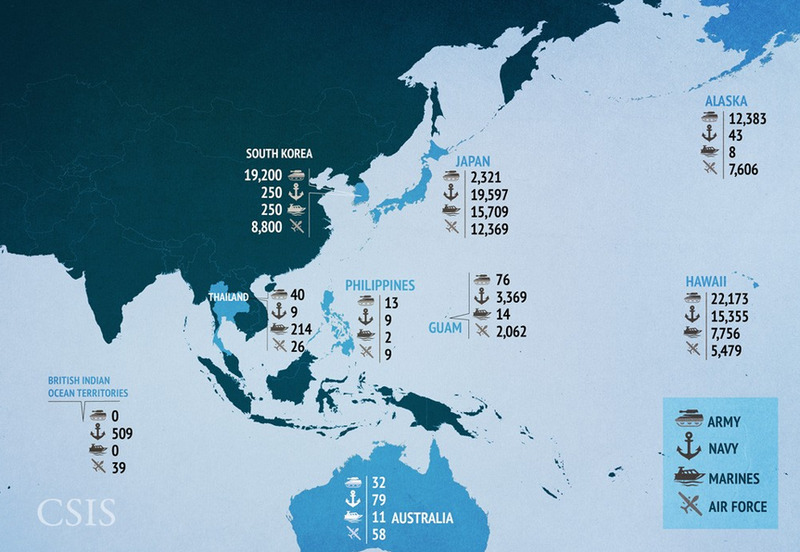 Asia Maritime Transparency InitiativeHughes Reef, November 15, 2014. In the middle of 2010 there was quite a stir when China was said to have called the South China Sea a “core interest.” It turns out that Chinese officials never quite said that: no matter. Chinese maps have been consistent. Beijing claims to own what it calls its “historic line”: that is, the heart of the entire South China Sea in a grand loop — the “cow’s tongue” as the loop is called — surrounding these island groups from China’s Hainan Island south 1,200 miles to near Singapore and Malaysia. The result is that all of these littoral states are more or less arrayed against China, and dependent upon the United States for diplomatic and military backing. 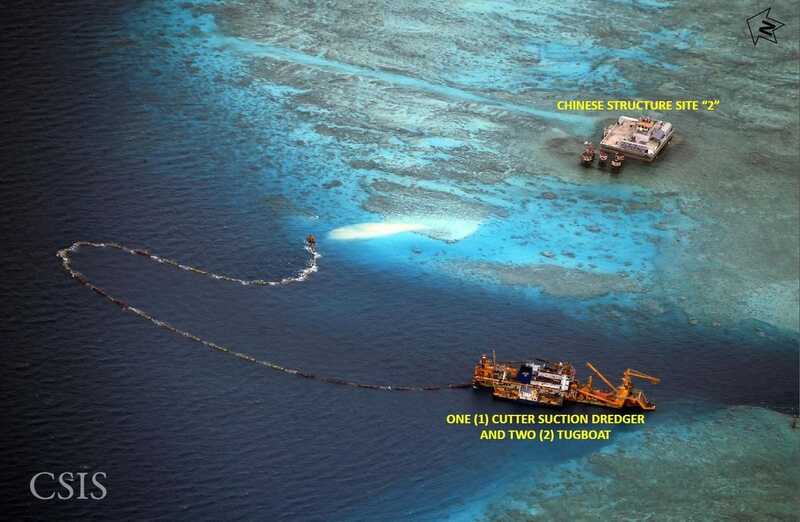 Asia Maritime Transparency InitiativeCuarteron Reef, November 15, 2014. For example, Vietnam and Malaysia are seeking to divide all of the seabed and subsoil resources of the southern part of the South China Sea between mainland Southeast Asia and the Malaysian part of the island of Borneo: this has elicited a furious diplomatic response from China.These conflicting claims are likely to become more acute as energy consumption in developing Asian countries is expected to double by 2030, with China accounting for half of that growth. “Paradoxically, if the postmodern age is dominated by globalization,” writes the British naval expert Geoffrey Till, then “everything that supports” globalization, such as trade routes and energy deposits, becomes fraught with competition. And when it comes to trade routes, 90 per cent of all commercial goods that travel from one continent to another do so by sea. Asia Maritime Transparency InitiativeChina and ASEAN (Southeast Asia), China and Japan, and Japan and ASEAN states have robust trade relations. 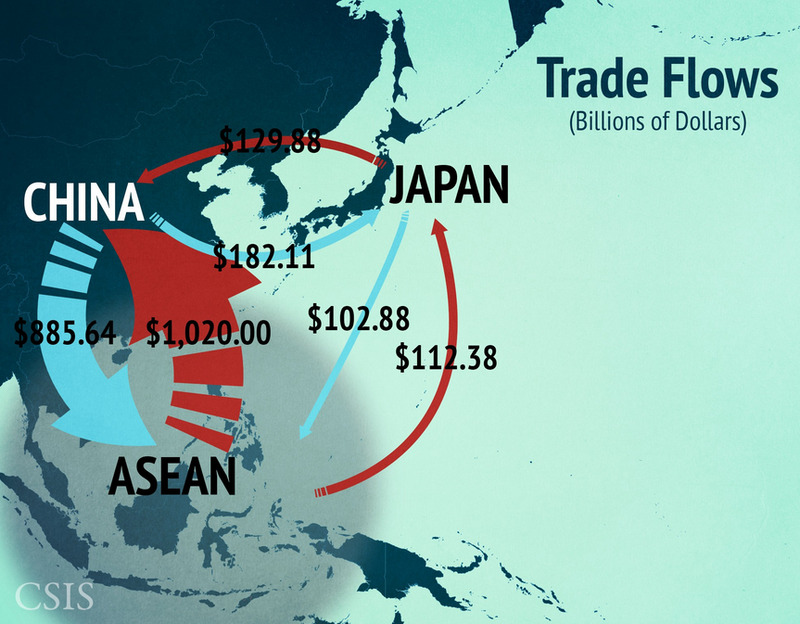 The China-ASEAN trade relationship is especially strong. This heightened maritime awareness that is a product of globalization comes at a time when a host of relatively new and independent states in Southeast Asia, which only recently have had the wherewithal to flex their muscles at sea, are making territorial claims against each other that in the days of the British Empire were never an issue, because of the supremacy of the Crown globally and its emphasis on free trade and freedom of navigation. This muscle flexing takes the form of “routinized” close encounters between warships of different nations at sea, creating an embryonic risk of armed conflict. This official said that China is as tough with a country like the Philippines as it is with Vietnam, because while the latter is historically and geographically in a state of intense competition with China, the former is just a weak state that can be intimidated. “There are just too many claimants to the waters in the South China Sea. “If that fails, what is Plan B for dealing with China?” I asked. Asia Maritime Transparency InitiativeUS assets and personnel deployed in Hawaii, Alaska, and Guam, are also devoted to the safety and security of the region. In the interim, the South China Sea has become an armed camp, even as the scramble for reefs is mostly over. China has confiscated twelve geographical features, Taiwan one, the Vietnamese twenty- one, the Malaysians five, and the Philippines nine. In other words, facts have already been created on the ground. Perhaps there can still be sharing arrangements for the oil and natural gas fields. But here it is unclear what, for instance, countries with contentious claims coupled with especially tense diplomatic relations like Vietnam and China will agree upon. 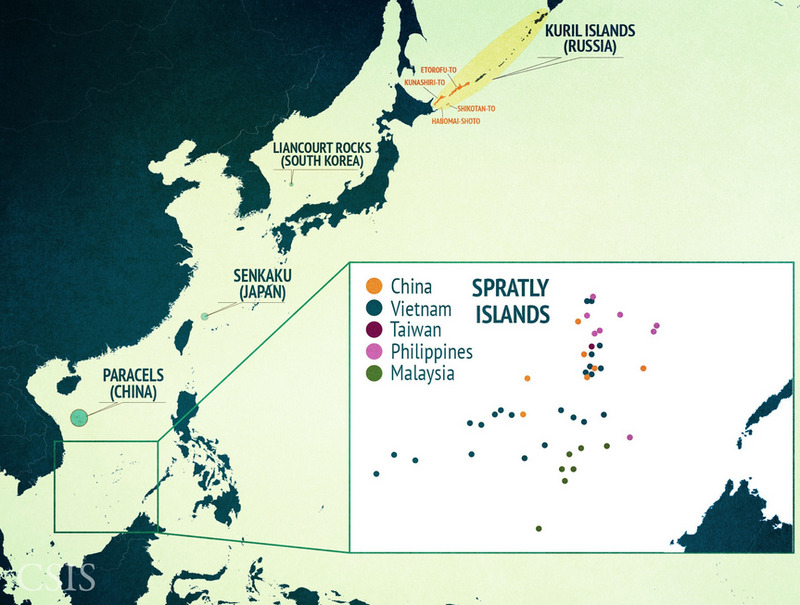 Take the Spratlys, with significant oil and natural gas deposits, which are claimed in full by China, Taiwan, and Vietnam, and in part by Malaysia, the Philippines, and Brunei. 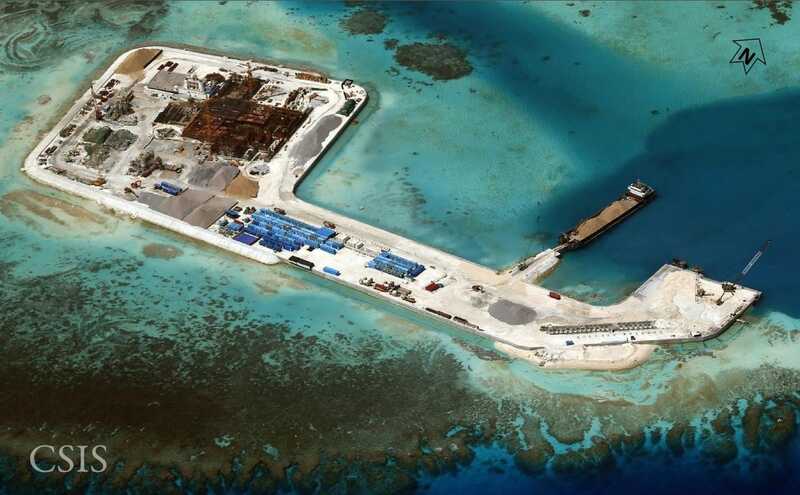 China has built concrete helipads and military structures on seven reefs and shoals. 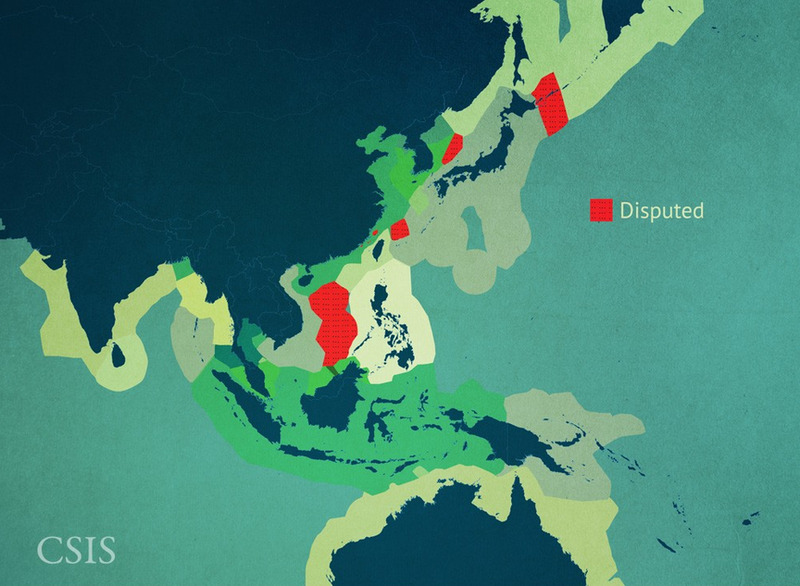 Asia Maritime Transparency Initiative/CSISMischief Reef, January 19, 2015. On Mischief Reef, which China occupied under the nose of the Philippine navy in the 1990s, China has constructed a three-story building and five octagonal concrete structures, all for military use. 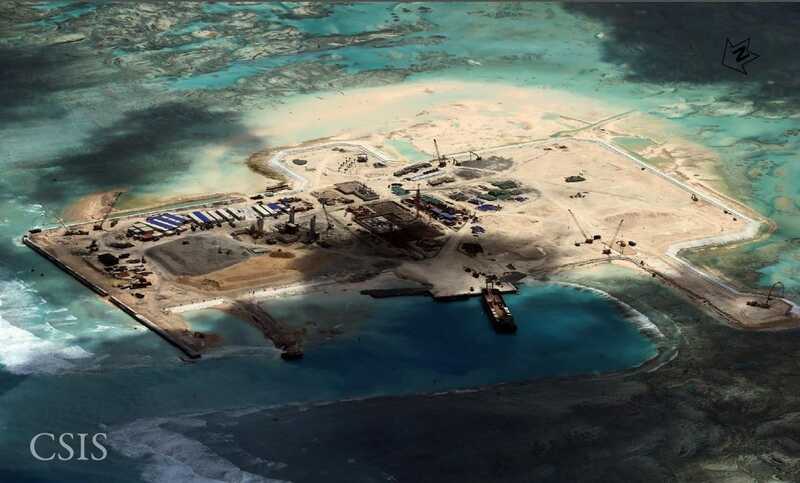 On Johnson Reef, China put up a structure armed with high-powered machine guns. Taiwan occupies Itu Aba Island, on which it has constructed dozens of buildings for military use, protected by hundreds of troops and twenty coastal guns. Asia Maritime Transparency Initiative/CSISJohnson South Reef, November 15, 2014. Vietnam occupies twenty-one islands on which it has built runways, piers, barracks, storage tanks, and gun emplacements. Malaysia and the Philippines, as stated, have five and nine sites respectively, occupied by naval detachments. Anyone who speculates that with globalization, territorial boundaries and fights for territory have lost their meaning should behold the South China Sea.